It made my eyelashes look big and beauiful! I didn't really like this mascara. I have to put on many layers of this mascara to even get a little bit of volume/length. After all the layers I have to put on his mascara just flakes throughout the day, gets all over my undereyes, and on top of that it's incredibly hard to remove this mascara. So this just isn't the mascara for me. This is more for someone that's maybe only looking to make their eyelashes black (or whatever color mascara they purchase) because it takes way to much to get volume or length. Always like this product. Goes on evenly and give my lashes just enough extension. Absolutely love this mascara! I use it every singly day-- it's perfect for casual days AND going out! It applies very evenly and doesn't clump at all. It's definitely my go-to mascara, & would definitely recommend! I quite like this mascara. It's the exact same formula as the other LashBlash mascaras. However, this mascara has a curved brush. The bristles are shorter and firmer that the others. This ensures that the mascara won't clump. I use both sides of the wand when applying. To give curl, I use the normal side and apply to the entire lash. In order to lengthen the ends of my lashes, I flip the wand around so that it's concave and use this side to apply mascara to the ends only. I find this routine works great for me. The only issue I have is that the firmness of the wand can irritate my eyes if they're a little puffy from allergies or lack of sleep. 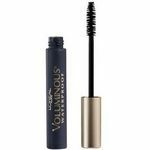 This formula is also as a base coat if you like to layer several mascaras. This brush is also great for reaching those tiny lower lashes. The color selection is good though the "black" that I bought was rather grey. I recommend purchasing the darkest shade it comes in if you like dark lashes. 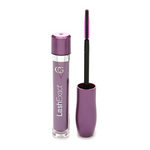 Thank you CoverGirl for introducing us to the LashBlast Clump Crusher Mascara. Not only does this new CoverGirl mascara last practically all day, but it adds much needed volume to my eye lashes as well. I have finally found a mascara that adds volume without leaving little black clumps throughout my eye lashes. 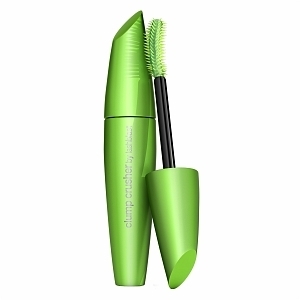 Performance CoverGirl LashBlast Clump Crusher Mascara leaves my eye lashes looking perfect throughout my day. It does not smudge or smear easily. I am able to use my eye lash curler after mascara application with ease. With my short little eye lashes, I am so thankful that I now have CoverGirl LashBlast Clump Crusher Mascara in my life to make my eye lashes look naturally thicker and longer. Ease of Application I love the design of the applicator for CoverGirl's LashBlast Clump Crusher mascara. There are no clumps left behind on my eye lashes after application. The want applies mascara evenly and thoroughly throughout. I was hesitant to buy this in the store. It's still not my favorite mascara, but it comes in close as the second. It's great because it provides a different type of brush to apply on eyelashes. I enjoy the dark look it gives my eyes because I have very light and short eyelashes. I would recommend this mascara to women who struggle to find dark or bold mascaras, and have short and thin eyelashes. Performance The performance is good, although some may not prefer it. It is not a mascara that will go with every look. As long as you apply it right, it should go along with most looks though. It provides a uniquely dark color to eyelashes that should make a woman's eyes glow and turn heads. Ease of Application The applicator brush is curved like some other mascaras. However, it is designed a bit differently. You can apply it fairly easy. When I first opened it, I took a second to look at it but used it just like any other mascara. Glad I was finally able to find a dark mascara to match my eyes. Does what it's named to do (no clumps), but that's about it! I had been using CoverGirl LashBlast Volume religiously for the past year, so I decided to give this product a try since it was also from the "LashBlast" line. Maybe it's because I had high expectations, but the Clump Crusher mascara fell short for me and just didn't "wow" me. First of all, I have to give the product credit: no matter how many layers of mascara I apply, I really don't get any clumps. My lashes stay separated and I never get spider lashes, which is awesome! However, I think the reason is because the formula is really thin. I have black lashes to begin with, and I have to apply tons of layers before it actually looks like I'm wearing mascara. The clump crusher does nothing to volume-ize or lengthen my lashes, so I can never get that "falsie-lash" effect that I like. The brush is also really big, and sometimes that makes it hard to apply mascara on the hard-to-reach areas, like the bottom lashes near the inner corner of the eye. However, I will say, the product doesn't flake and is easy to remove, but it might not be what you're looking for if you want glamorous lashes. I have been searching for years for a holy grail mascara, sadly to say this isn't it, but I was really surprised at how much I loved it. I have short, non-exisistant lashes that are a pain and I have to seriously work to get to do anything. I've tried tons of drugstore mascaras and 99% of the time, they don't do anything for me. Literally, nothing or clump the crap out of them, which I hate clumps. This mascara is true to its word, no clumping what so ever. The brush is really nice and I love how it separates the lashes to coat everything evenly. It builds up nicely, but doesn't cake on to give you spider lashes. The lashes it gives is very doll like in my opinion. I haven't been a fan of previous mascaras that I have tried from covergirl, but this one has me repurchasing it every time I run out. 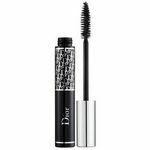 This is usually my go to mascara, because I am constantly trying new ones looking for the one that blows my socks off. I will say that I don't think that it is very lengthening, but lets you work with what you have, if that makes any sense. I have short lashes, but it actually lifts it to where it is noticeable without being too heavy.